There were two specific incidents in the recent past that brought me to a place of personal discomfort -- one as a Filipino and one as a follower of Jesus Christ. First is a policeman's decision to take hostage a number of people (mostly Hong Kong nationals) on a tour bus in Manila, Philippines. It ended in violence, lost lives, and an ugly picture of media mishandling what took place. Second is the controversial desire of a pastor from a weird little church in Gainesville, Florida to burn the Koran to mark the anniversary of the September 11 attacks. Whether he pushes through with it or not is not the point. The condition of his heart already spoke volumes. While it is true that these acts are choices of two people and do not reflect the character of an entire nation or a religious denomination, there is an ache in my heart that longs to apologize to the hurting world as if they were my own sins. I couldn't put my finger as to why I feel this way. And then I read Chapter 25 of a book I recently read. Anne Jackson, in her book "Permission to Speak Freely," discusses it in a chapter called "Ezra's Confession." Let me share with you some of Anne's insights on Ezra and why it is relevant to what I am feeling. When you look at your Bible and check the Old Testament, you will find the story of Ezra. He is a scribe whose life reflected a true love for the Lord. One day, Ezra was asked to go back to Jerusalem and lead the Jews to back to their own land. He was the perfect candidate for the job because he loved the Word and has the ability and the heart to teach them more about it. However, as time progressed in his stay in Jerusalem, he started dealing with the problem of mixed marriages. Marrying into other tribes, at that time, was unlawful. "Ezra was heartbroken that the people he was caring for has messed up. Even though he wasn't one of the people marrying outside of his tribe, the weight of the actions of his nation grieved him. He ripped his clothes and tore out some of his hair, which meant he saw himself just as guilty as everyone else." When I read this paragraph, I thought it perfectly described the heartache I was feeling when I watched the hostage in horror and heard about the plans to burn the Koran. I do not have the heart to be critical nor angry. I started grieving and confessing the many times in the past that I have enabled (directly or indirectly) a corrupt government, irresponsible media, spiritual self-righteousness, hatred, and the worst of all: those moments where I saw the problem and didn't do anything at all. In my heart, I felt that Rolando Mendoza and Pastor Terry Jones were by-products of a society that I somehow made it comfortable for them to do what they did. In a time like this, the immediate reaction is point the finger on who to blame. While I refuse to judge those who are angry and critical of Mendoza and Jones, I wonder if something can be truly transformed in our universe if we all made a decision to respond the way Ezra did. It is in this kind of reaction, after all, God does get glorified and the Gospel is activated. When an entire community humbly confesses and declares love instead of criticism, we start allowing our Healer to mend what was broken. Anne highlighted Ezra's prayer of confession in Ezra 9:6-7, and has now become a part of my daily prayer. "My God, I am too ashamed and embarrassed to lift up my face to you, my God, because our sins are so many. They are higher than our heads. Our guilt even reaches up to the sky. From the days of our ancestors until now, our guilt has been great. Because of our sins, we, our kings, and our priests have been punished by the sword and captivity. Foreign kings have taken away our things and shamed us, even as it is today." I am desperate for healing and freedom for all of us. 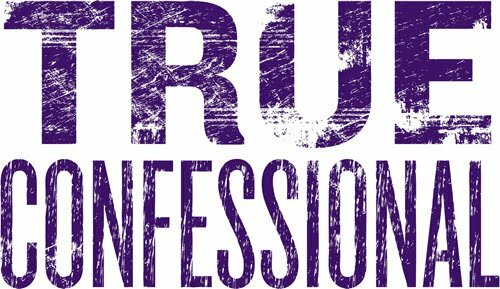 I long for the day we all make that decision to collectively confess the sins of our generation and finally give God's grace a fighting chance to transform the world we live in.